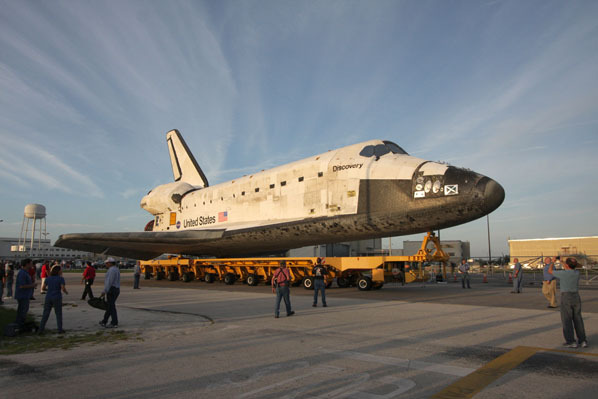 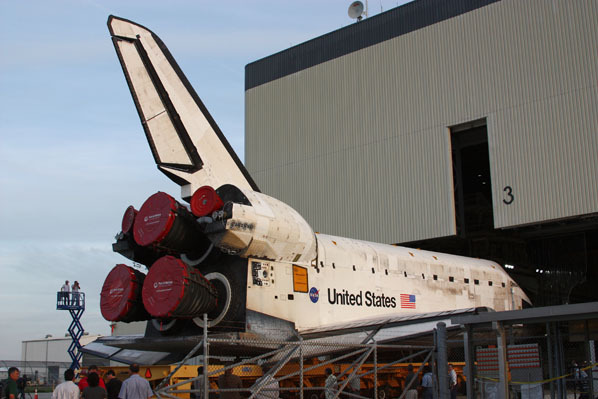 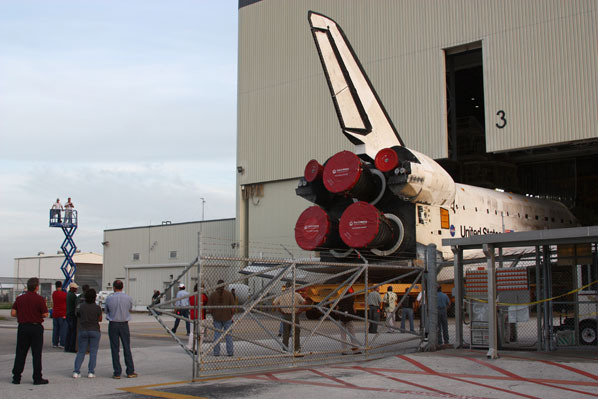 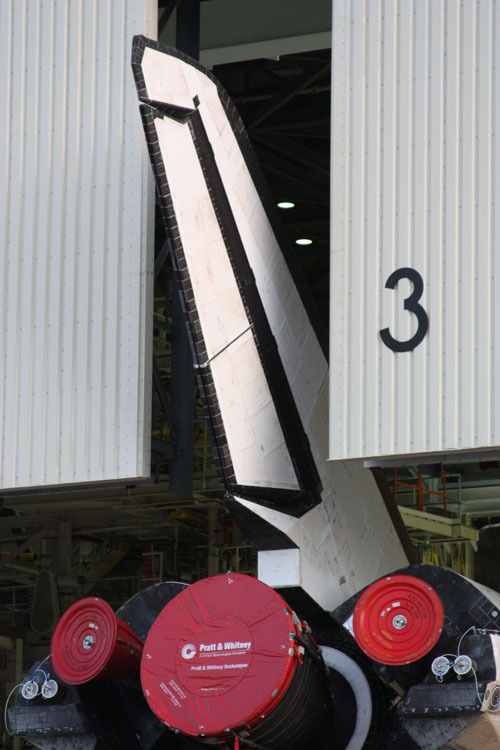 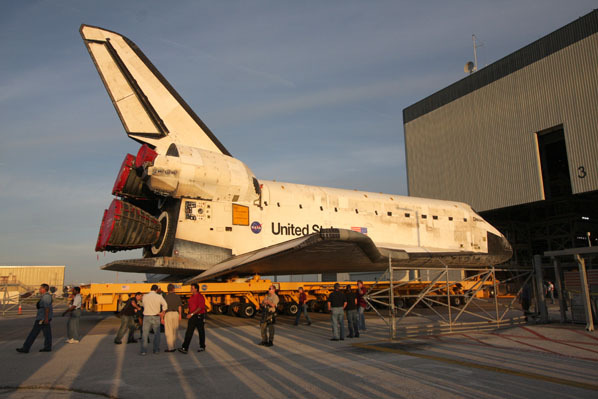 The shuttle Discovery rolled a few hundred yards Thursday from its hangar to the Vehicle Assembly Building. 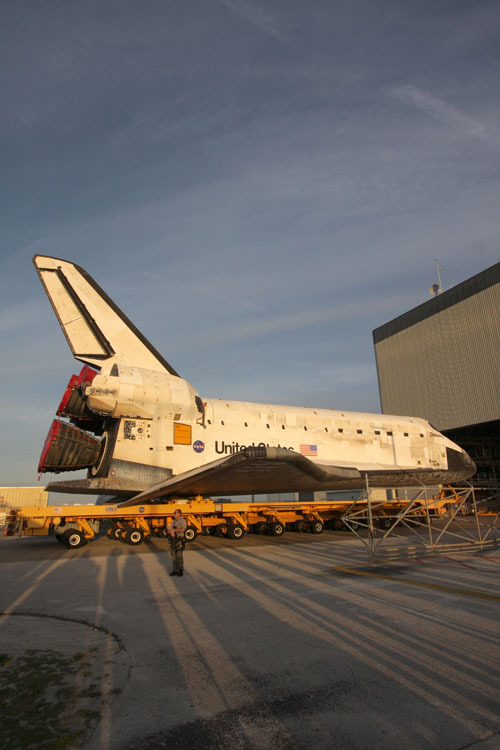 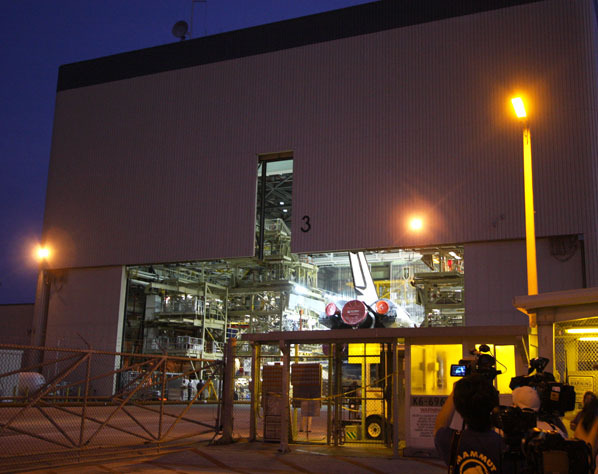 The orbiter departed the processing facility shortly before 7 a.m. EDT, paused for a few hours for photos, then arrived inside the VAB just before 11 a.m. 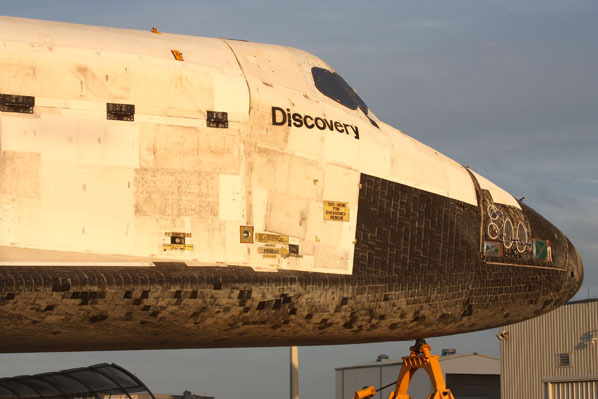 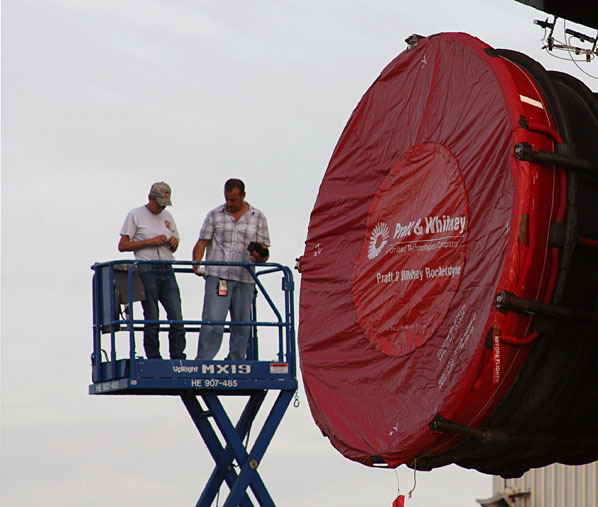 Discovery is being readied for its final launch Nov. 1 to the International Space Station.